This is just a place where I intend to bring together some of the RPG stuff I’ve done (please see the tabs above). A System Neutral Collection of (quirky) Magic items. Hopefully most of the items in this (free) download are fairly original. 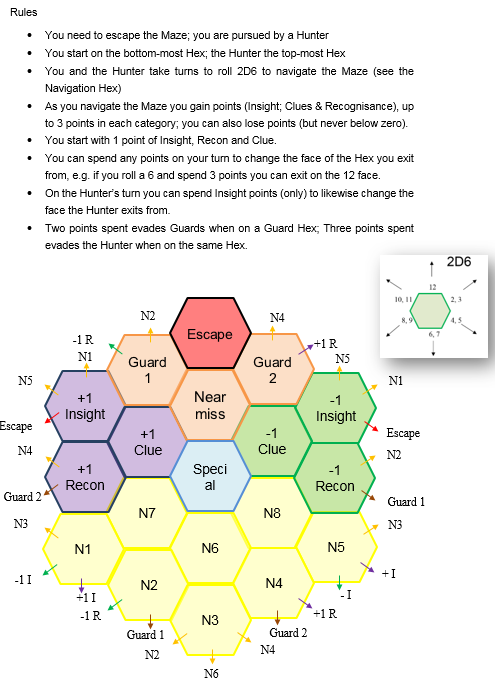 A simple game where a player tries to escape a Maze and to evade a Hunter. It also might work as a simple mechanic for chase rules in RPGs. This entry was posted in Uncategorized on May 22, 2018 by Goblin's Henchman.